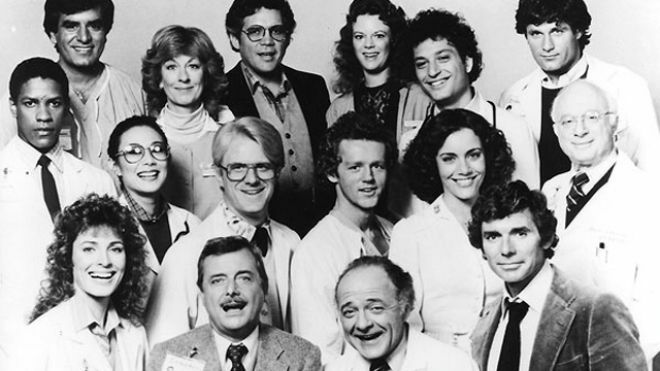 One of TV's most innovative series made its debut on this day in 1982. The original cast of St. Elsewhere, 1982. As St. Elsewhere celebrates a milestone anniversary, I would wager to say the series has received more attention from the media in the last few days than at any time since its legendary series finale in 1988. When have time tomorrow, I will be posting links to more of the tributes that have been popping up around the web. One of the reasons I started this blog was because I wanted to share the richness and depth of the series with those who remember watching it with as much zeal as I did, and because I felt that the magic that viewers got to experience by following the people of St. Eligius for six seasons and watching them grow and evolve simply was not represented online like I felt it could be. Put a show like St. Elsewhere on now, and it would have a small-but-rabid online community that obsessively chatted, tweeted and forum-ed about every episode. It would have been perfect for today's niche-driven television market.